The reptile welcomes you. Castell dels Tres Dragons. 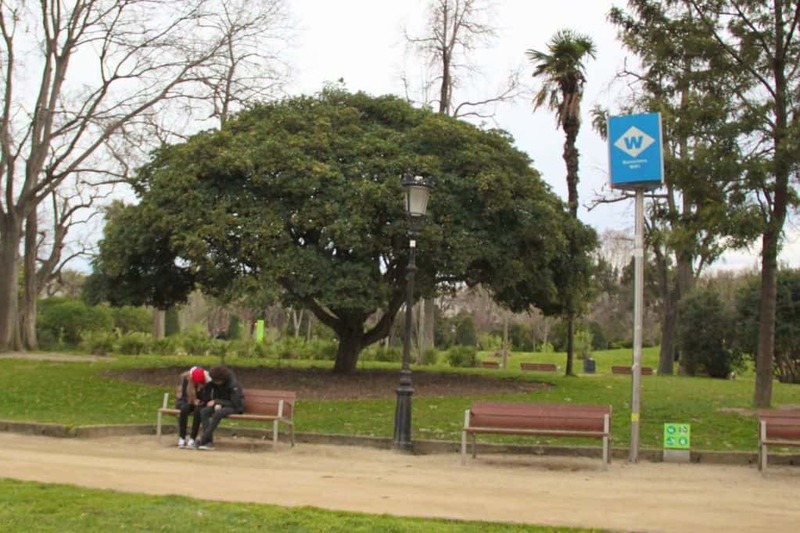 Call it the Central Park of Barcelona. 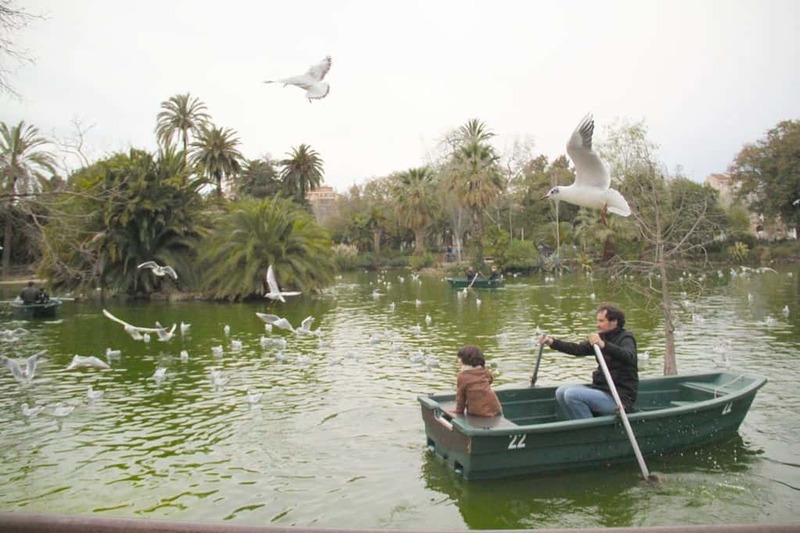 The Parc de Ciutadella is the city’s biggest and oldest park, and there’s always something to do in this 70-acre lung of Barcelona. Just last week for La Mercè, Barcelona’s biggest festival, several popular events were happening simultaneously. 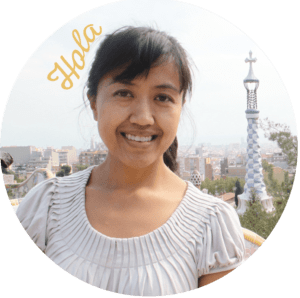 There were concerts, kids’ shows, rides, theater shows, food trucks, and, in Barcelona style — thick, thick crowds of people trying to enjoy it all too. 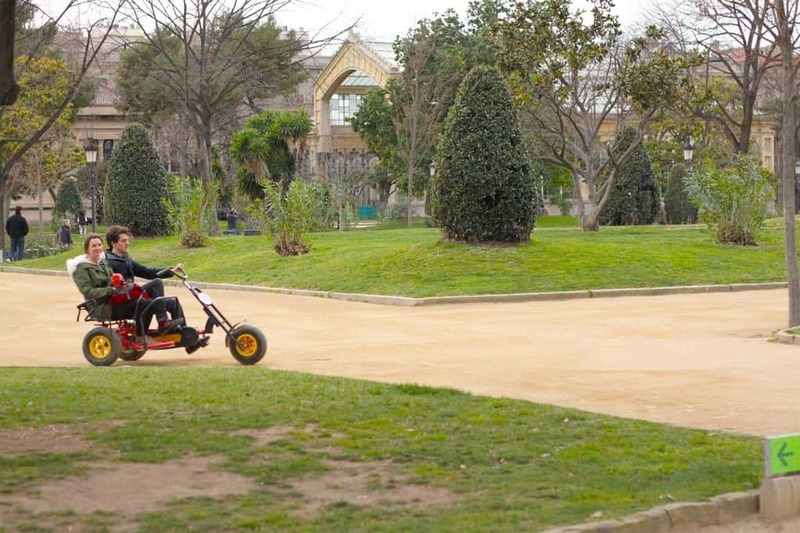 What are some fun things to do on a normal day at Parc de Ciutadella? 1. Take a casual stroll. 2. Row boats in the lake. 4. 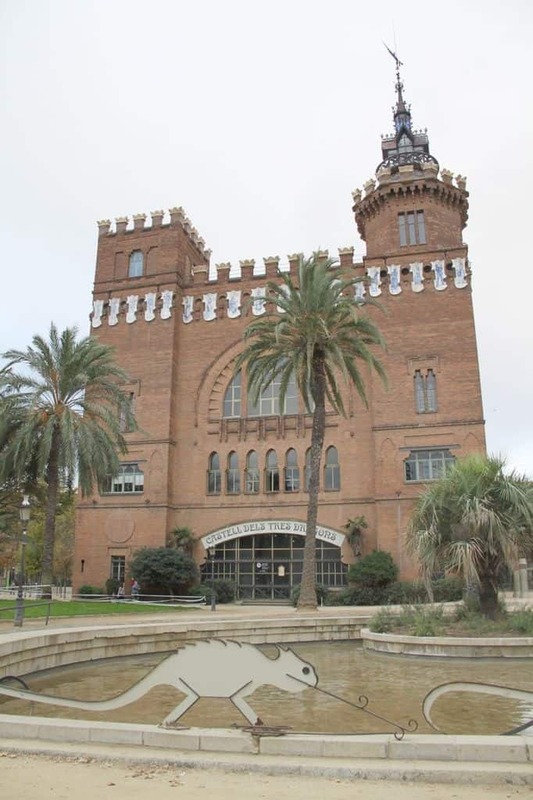 Go to the Barcelona Zoo. 6. Admire the many sculptures. 10. Have a picnic and people-watch. 10. Take the kids to the playground. 11. 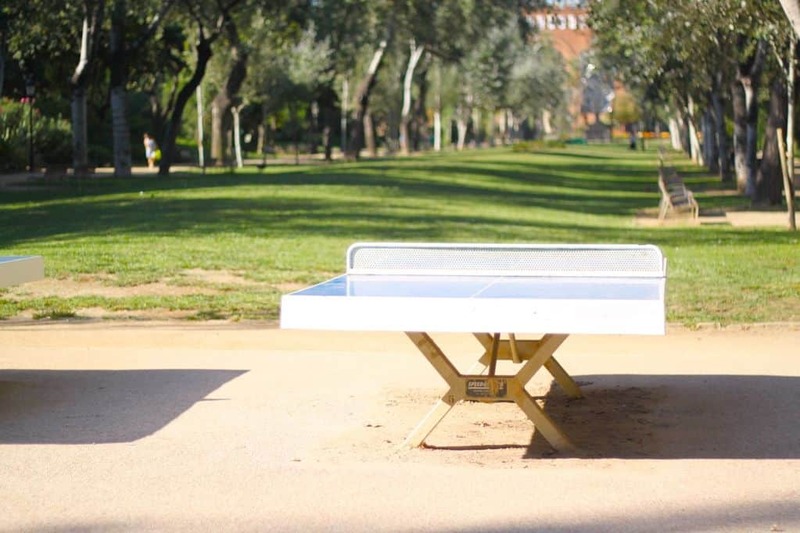 Play some ping pong. 12. Be a weirdo and bury your head in your smartphone. The park isn’t just for Sunday strollers. It’s honesty for everybody — grandparents, toddlers, hippies and your mama. And while there’s plenty of green, lush grass, the park is also lined with many graveled paths for some walkin’ and talkin’. Be sure to pass by the building of the Catalan Parliament, where many a-heated political debates happen. 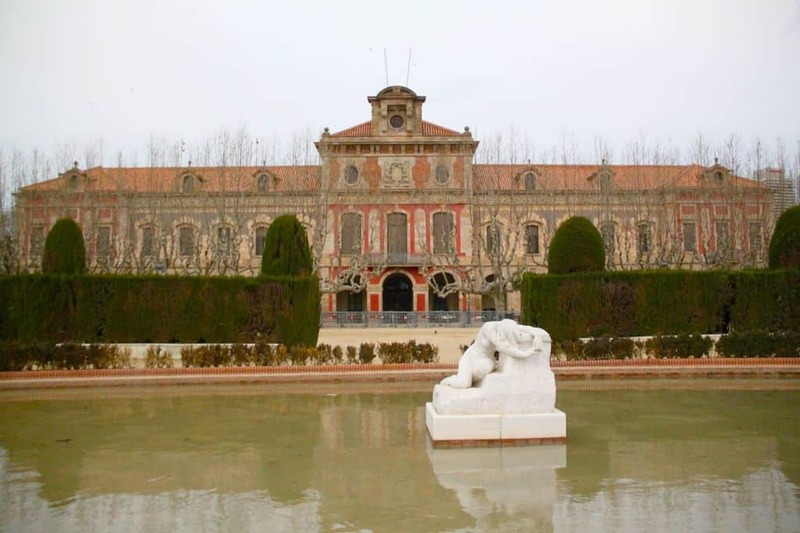 It’s near a lily pond and a peaceful statue in a small plaza. Grab some wine and cheese and you’ve got a romantic date here. 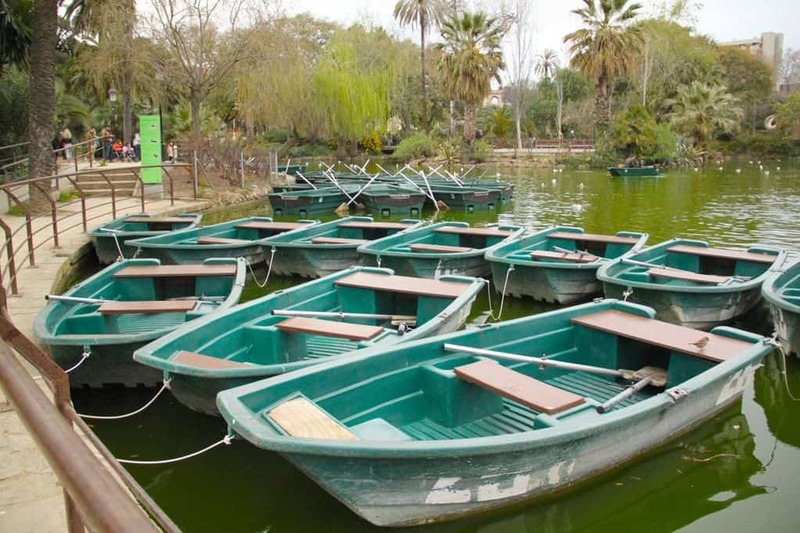 You can rent a small rowboat for half-hour increments in this green lake. Prices vary on number of passengers. Last I checked, it was 2 people for 6 euro, 3 people for 9 euro, 4-5 people for 10 euro. 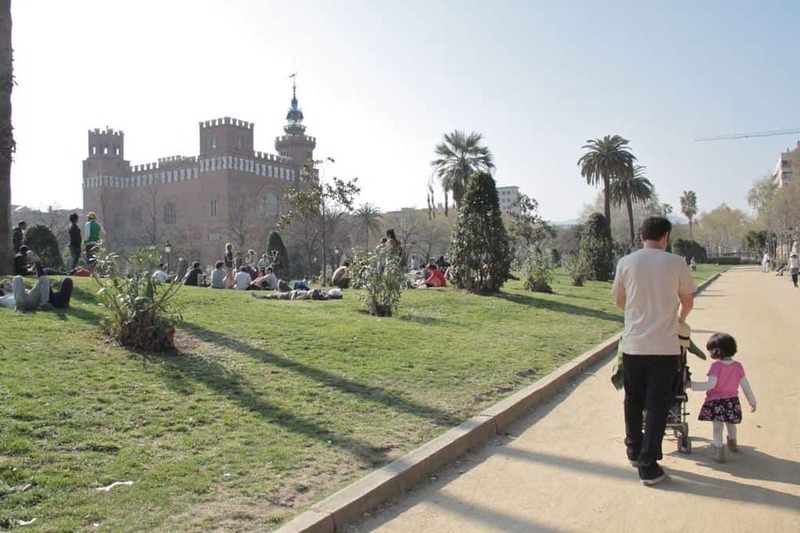 The Barcelona Zoo covers the basics — lions, tigers, elephants, giraffes, zebras, monkeys. But perhaps my favorites are the komodo dragons, dolphins, orangutans, and crocodiles. It’s also got two playgrounds (one with two zip lines for the older kids), a petting zoo, dolphin shows, and more. It’s pretty big, and they seem to keep improving it each time I go. Entrance fee is reasonable. As of today, the adult price is 19.90 euro. For an annual family membership of 4, you’ll just have to go least three times in one year, and you’ll have well gotten your money’s worth. And please don’t bother the peacocks running around freely! Bubble maker people are everywhere, enticing little children to pop these ginormous bubbles as they run into each other. Adults love them too, they just don’t wanna admit it. 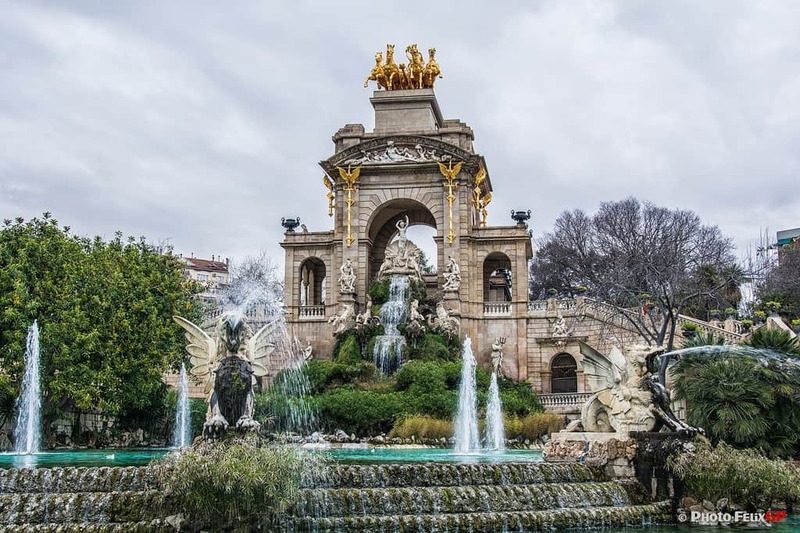 Fountains, statues, and sculptures add to the romantic ambiance of Ciutadella Park. The most popular is the huge mammoth, where people wait in line to snap a selfie with this curly-horned beast. The Cascada is the waterfall with a stunning fountain. It was built between 1875 and 1888. There’s nothing really to “do” here, it’s merely a large piece of art — adorned with a golden chariot at the top and shooting water jets below. Photo by Fèlix González via Flickr. As I mentioned, a large variety of people spend time here. They camp out on the grass for hours, especially on the weekends. And what are they doing? Everything. 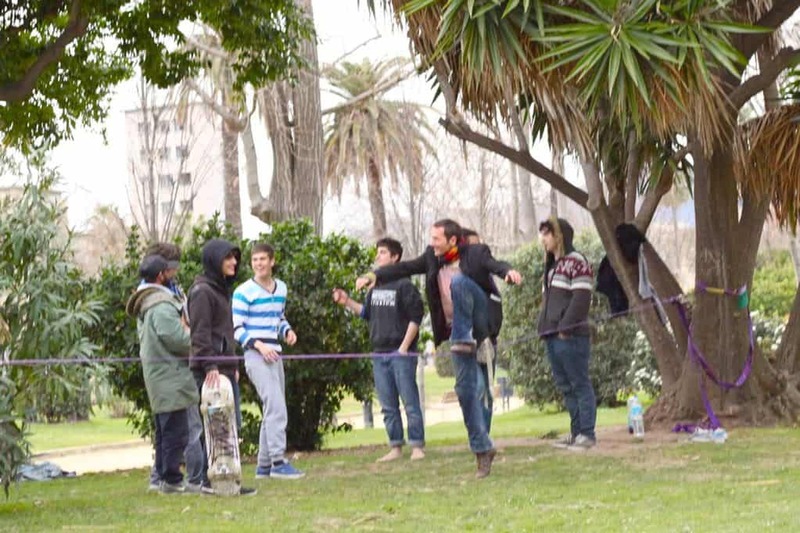 You’ll see small kids running around, drummers, guitarists, people juggling, and people balancing on a line? Yes. 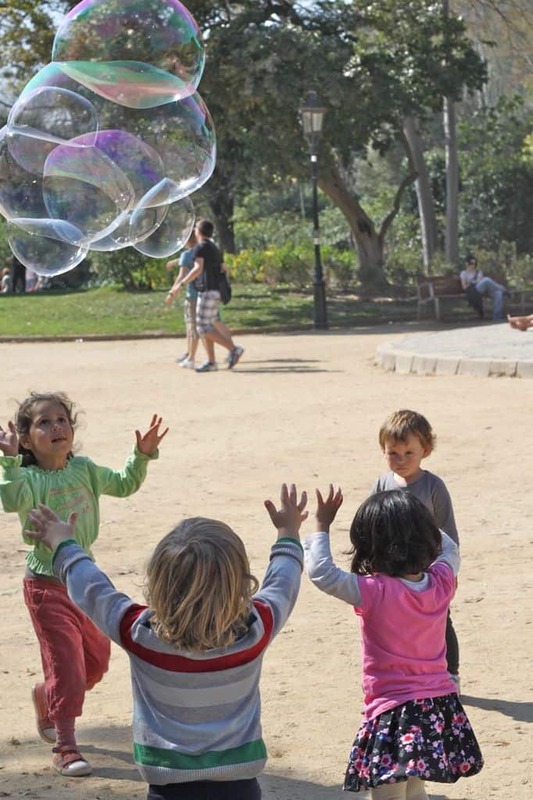 There are two fantastic playgrounds at Ciutadella. 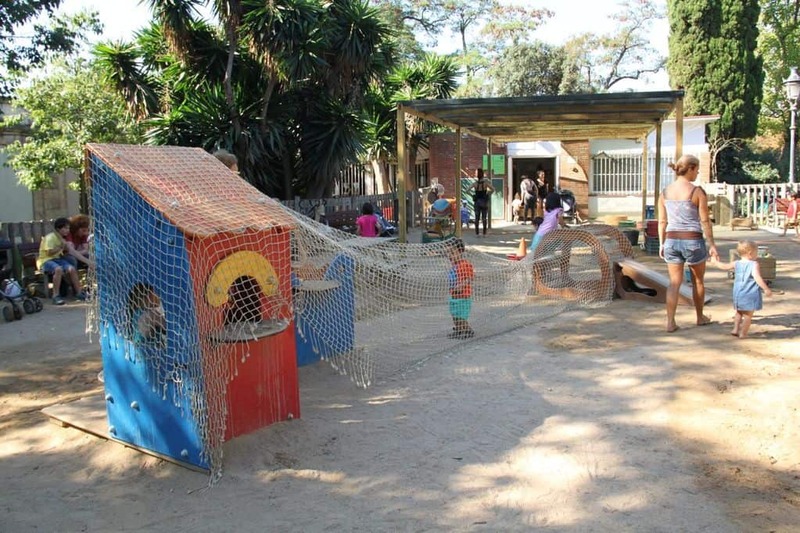 One popular place is the ludoteca, a special space for young kids which is inside one of the enclosed playgrounds. It’s open from 11am to 1:30pm. 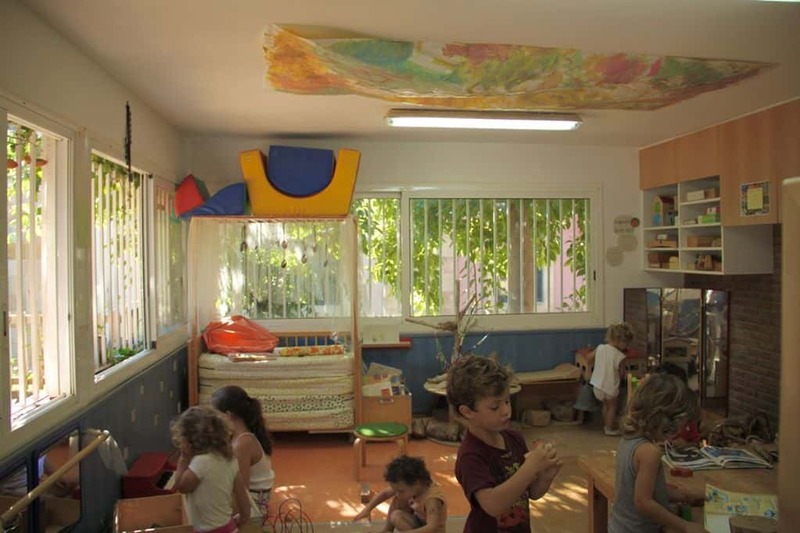 The ludoteca a goldmine of exploration for little ones. 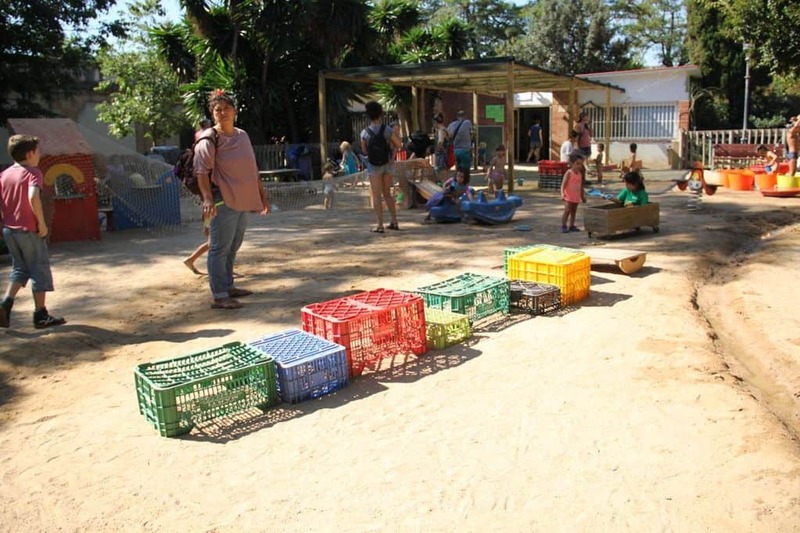 They have recycled pots and pans for instruments, water tubs in the summer, mazes, construction toys and so much more. But if you fancy some small ball action, here you go. Go ahead, it’s not like you don’t do it already. Public Wi-fi is available. So it’s free! 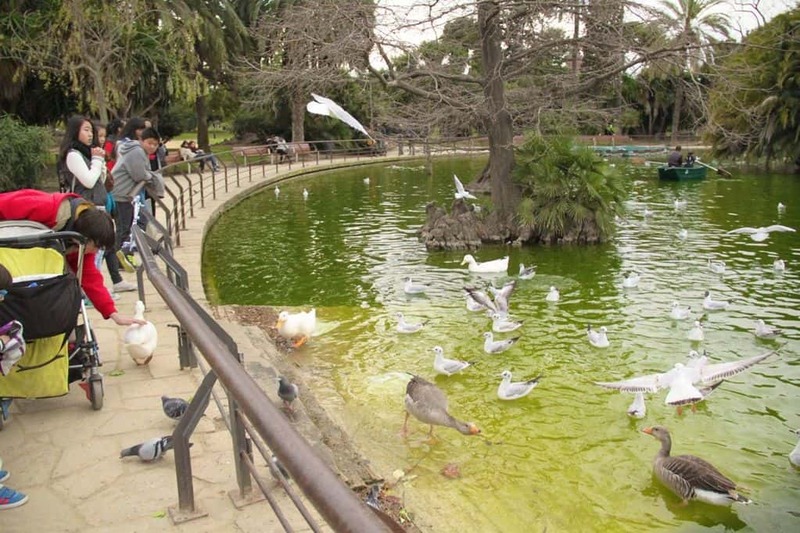 Have you ever been to Ciutadella Park? What did you do here? Can you suggest anything else?